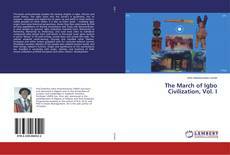 This book authoritatively supplies the missing chapter in Igbo, African and world history. The Igbo went into the world’s 4 quadrants, not to conquer, subjugate and exploit but to open up and settle in virgin lands or civilize peoples of other climes. It is like no other book – revealing Igbo origin from meta-historical perspectives; shows they flew extensively by Ekili earning appellations of shining ones/moons and Tuata nde danana/drops-in who landed on ground. 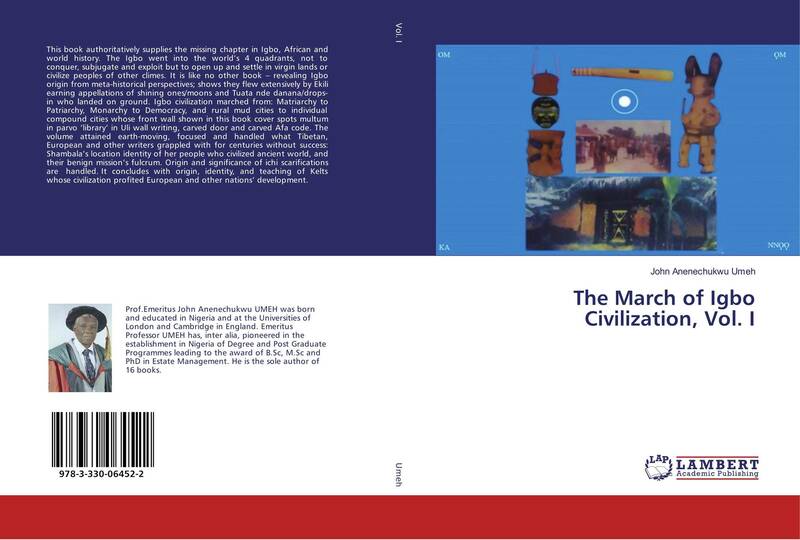 Igbo civilization marched from: Matriarchy to Patriarchy, Monarchy to Democracy, and rural mud cities to individual compound cities whose front wall shown in this book cover spots multum in parvo ‘library’ in Uli wall writing, carved door and carved Afa code. The volume attained earth-moving, focused and handled what Tibetan, European and other writers grappled with for centuries without success: Shambala’s location identity of her people who civilized ancient world, and their benign mission’s fulcrum. Origin and significance of ichi scarifications are handled. It concludes with origin, identity, and teaching of Kelts whose civilization profited European and other nations’ development.